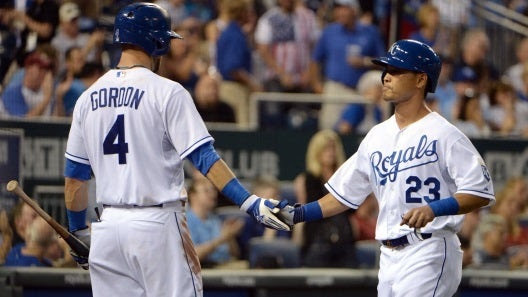 Alex Gordon was an all-around champ this week, as he recorded 7 RBIs and tallied 3 stolen bases. TEABAGGERS had the biggest jump in the rankings thanks to Alex Gordon. Putting up 9 stolen bases, a 2.98 ERA, and 4 wins pushed SPACE COWBOYS to the top of the pile. SCHNOOKERS have now had to deal with seven straight weeks where Shohei Ohtani has underperformed his positional average. TEABAGGERS have had three straight weeks of above-average team performance. DEADWOODS had a great week last time the rankings were compiled, but fell off big time afterwards. Colt 45s dropped and no one is more to blame than Marco Estrada, who totaled a 27.00 ERA, notched a 3.38 WHIP, and won 0 games. SKINS have been enjoying the services of Roberto Osuna, who has given them six straight weeks of above-average roto performance. Adalberto Mondesi is the main reason for DEADZONES’s jump in the rankings, as he stole 5 bases, logged 7 RBIs, and blasted 2 home runs. MASTERBLASTERS were the worst team in the league in the HRs category this week, which is no big surprise given that they’ve been the worst team in that category overall for the season. Only coming up with a 1.56 WHIP, 2 stolen bases, and a .230 BA caused ARMCHAIR SLUGGERS to careen down five spots in our power rankings. SHAMS’s performance two weeks ago was in the bottom 20th percentile for the season, and so was last week’s.